Aka no model bloat. 1992 RT/10 - 3,284lbs(with no roof) 2014 T/A - 3,297lbs. Personal story after the jump. Sometime in the 90's, when I was a youth, me and my moms were going to the store. 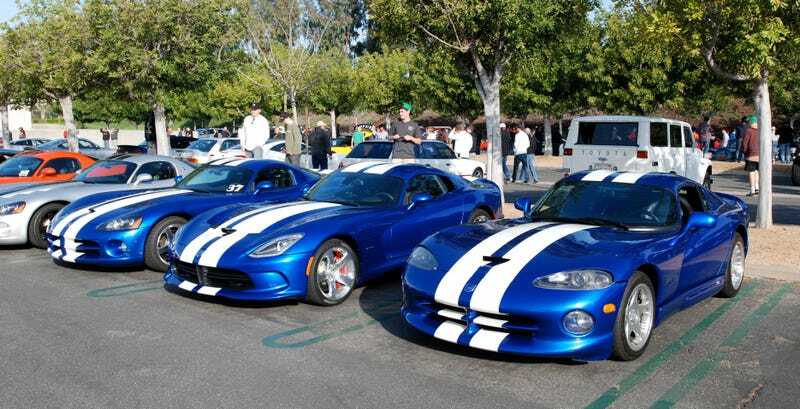 On the way we say a bright blue viper with white stripes. I had no idea it was a Viper at the time. But at the store I asked to get a car magazine and she agreed. Literally seeing a Viper sparked my love cars …. an obsession thats been going for a couple decades. Which lead me going to school for transportation design, that got me a job as a motorcycle designer. I'll never forget that, and I'll never not love the Viper.